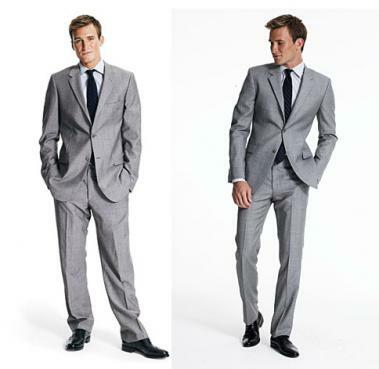 Guys, it’s time to clear up some misconceptions about your suits and how they fit. What we found shocked us. No, suits do not have to be loose to be comfortable. No, your accessories should not match your suit… no no no. Misconception: Business attire is always formal. Reality: You can dress relaxed and even business casual and still look like you’re dressed for the office. Be informed on the expectations of your office and the particular circumstances like interviews, meetings, casual Fridays, office party etc. Misconception: Business attire is not fashionable or comfortable. Reality: Business attire can be both fashionable and comfortable. Fashionable – business attire can look conservative and modern at the same time. You can get a business suit with the subtle bits of style that will keep you looking current. Comfort – If the fit is right, it will be comfortable enough to wear all day at the office. Misconception: everything always has to “match” including belt and shoes. Reality: Clothing and accessories don’t have to be and shouldn’t be the same color. They can be different patterns and even different colors/shades of colors that just blend well together. Sometimes a contrast can look great! For example, wearing light brown shoes with a dark brown belt, or a tie with thick stripes or large patterns can go with a shirt that has thin stripes or small patterns. Misconception: Styles are always changing so it’s hard to build a wardrobe. Reality: There are always classic basics that never go out of style. Spend money on the things that are more classic that you can wear for a long time. You can always add bits of stylish flair to your clothes with pocket squares, ties, cuff links, and socks that will change and update your look and make you look more trendy without having to buy completely new clothes. Misconception: You can only look good if you’re thin. Reality: Everyone can look good with a well fitted outfit no matter what size you are.